Smoked meat is a style of cooking that really fascinates me, and the American style of BBQ cooking is really popular at the moment. At Sandstone we have all the equipment to do it well – fire pits and mounted rotisseries – but it’s also really accessible for someone to do it at home. Most BBQs have the capacity to smoke meat and you can buy a range of different smoky flavours to customise the flavour of the brisket. 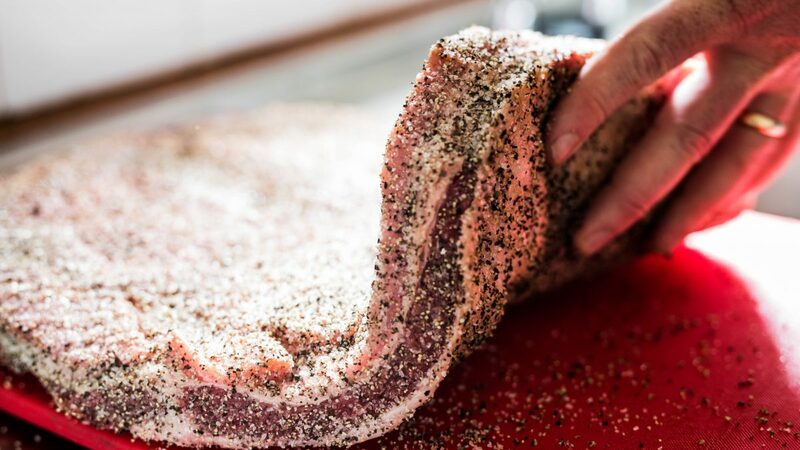 For this recipe I’ve included the ingredients for a Texas style ‘rub’ which is a mixture of ground spices which you rub onto a piece of meat before cooking. This smoky brisket marries perfectly with the beer battered onion rings, corn salsa and cabbage slaw. 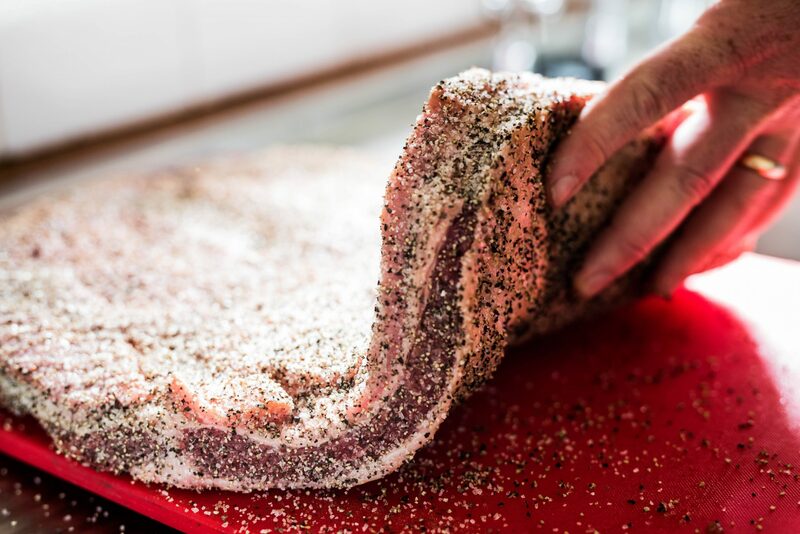 When buying the whole brisket, ask the butcher to trim the excess fat and prepare it for smoking. 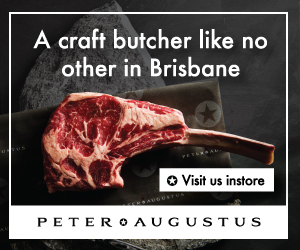 A good butcher will know how to do this. First, slice the brown onions thickly to prepare them for battering. Mix all Texas style rub ingredients together and blend into a fine powder. Rub them thoroughly all over the brisket and leave to marinate overnight. Preheat the grill or BBQ to 115 – 120°C. Add a couple of handfuls of smoking chips into the BBQ. Place the meat on the grill, with the fatty side up. Allow to cook for about 4 to 5 hours – or 60 minutes for every 500g of meat – checking periodically so it doesn’t dry out. Spray with a small amount of beer or water now and then to keep it moist. After 5 hours, wrap the meat tightly in multiple layers of foil and transfer it into the oven to cook at 115°C for another 6 hours or until the core temp reaches 85°C. Allow to rest in the foil for 1 hour before carving. Lightly beat the egg with the beer and sift in the flour to develop a smooth consistency. Season with salt and pepper to taste. Add a little olive oil to a hot pan and gently sauté the diced onion until soft. Add the corn kernels and diced zucchini. Sprinkle the Texas style rub spice mix over the top and continue to cook over medium heat until the veggies are tender. Just before serving, add the fresh chopped tomato and parsley. Season to taste. With a sharp knife, remove the outer leaves and core of the cabbage, before cutting finely. In a large bowl mix the cabbage, shallots and parsley. Add the mayo slowly and stir until well combined.